Search Engine Submission is now a very common practice that is done for making the website to soon gain visibility. 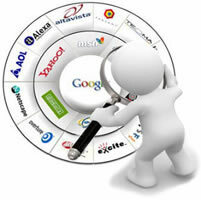 Once the search engines are aware of the website, it becomes easy to get other related tasks established. 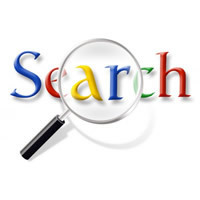 Search Engine Submission is how a webmaster submits a website directly into the search engine. Generally, Search Engine Submission shows only a way of submitting a website for promoting one – however, search engine submission is done basically to make search engines like Google, Yahoo and Bing aware of your website. The truth is sooner or later they will know regarding your website as their crawlers or spiders are always roaming the internet and cache them properly. Two of the major reasons to do are – to add an entirely new page on to the search engine directories as the website operators cannot wait until the search engines cache their website. The other is to update any edited page and put the fresh copy on the search engines cached list. Generally, there are two methodologies to do that – one is to submit the home page of the website and the other is to submit the whole website as one. It depends on how the website manager would like to do. When the whole website is submitted, it is done through the sitemap. Sitemap contains the list of all URLs that are linked with the website. When the crawlers or the bots read the sitemap first, the bots are able to record all the links in the website and cache them. Another method is just submitting the home page of the website. Now, on submitting the home page of the website to the indexers, the crawlers will get to know regarding the website from the home page. Once the home page is cached, they are able to trace out other pages that are linked to the home page. Search Engine submission can now be done through various softwares that are available for easy indexing and submitting into variety local search engines also. The major search engines, now including Ask.com, also have a steady methodology of sending crawlers and bots to web pages. The majority of the users in the world are now using the web to get quick results for their requirements and so getting a webpage to be quickly cached and indexed so that it shows up on the results page becomes a major concern. Sitemaps are generally preferred to be readied in XML as Google search bots read xml sitemaps and list all the URLs present in the sitemap. 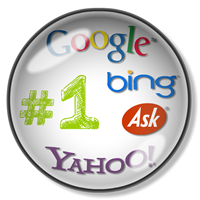 Search Engine Submission is the first step into appropriate optimization and search engine popularity!